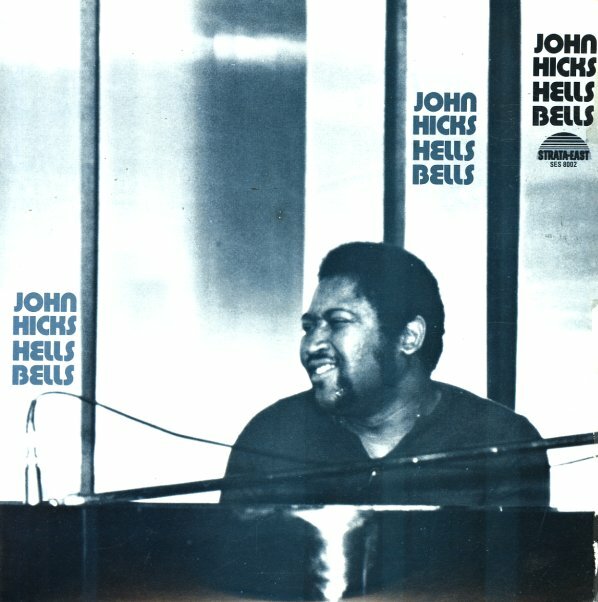 One of the first albums as a leader from pianist John Hicks – a record that really set the tone for countless great sides to come – and which follows on years of great work with Art Blakey, Lee Morgan, Hank Mobley, Charles Tolliver, and other soulful jazz giants! This set was Hicks' only date for the Strata East label – and has an open, flowing vibe that's very much in keeping with the imprint – and which is maybe a bit different than his later, more familiar material! Part of the strength of the record is bassist Clint Houston – who's completely sublime throughout, and has a way of shaping his notes with this depth that seems to set Hicks free to fly across the keys of the piano on these very long original tunes. Drummer Cliff Barbaro is also part of the trio – and can wind things up when needed, but also lay back and allow some great interplay between Houston and Hicks – on beautiful long tunes that include "Hells Bells", "Avojca", "Yemenja", and "Angie's Tune". © 1996-2019, Dusty Groove, Inc.